Visit the Arkhangel Steam page! Just a quick update today, but wanted to make sure that everyone knew that the Steam page for Arkhangel: The House of the Seven Stars is now LIVE! Go check it out and add it to your wish list! Hi there! As we get closer to launch, we wanted to start throwing a little more in-depth content at you, to give you a better idea of the game we're about to release. The first in this behind-the-scenes series has to do with how we created our characters and made them fit the visual style we wanted Arkhangel to have. Neither of us are true 3D character artists. We pulled a lot of reference to get a good idea how people would dress and how they would decorate their houses in 19th-century Alaska, so even though we didn't have the skill to create models from scratch, we knew how we wanted them to look. So after researching and brainstorming options, we decided the path that made the most sense to us was Adobe Fuse (though at the time, it was still called Mixamo Fuse). Fuse has limited capability, but as long as your needs fall within that capability, it is a godsend for those without the resources to create their own models. It works much like creating an avatar for your character in a video game. In using scores of sliders, you can adjust height, stature, skin color, lip thickness, eye spacing and many other metrics. You can decide what style of clothing your character wears as well. After designing in Fuse and getting the model to look pretty much the way we wanted, we'd rig it for animation by uploading it to Mixamo's online utility called, "Auto-Rigger", download the rigged model as an FBX, import it into the Unity game engine, and then immediately re-export the texture pages for each model's specific "body part" as individual PNG files. The next step of our process was to open each PNG in Adobe Illustrator, and redraw the textures as flat vector files. I realize Illustrator sounds like a really odd choice for video game art. 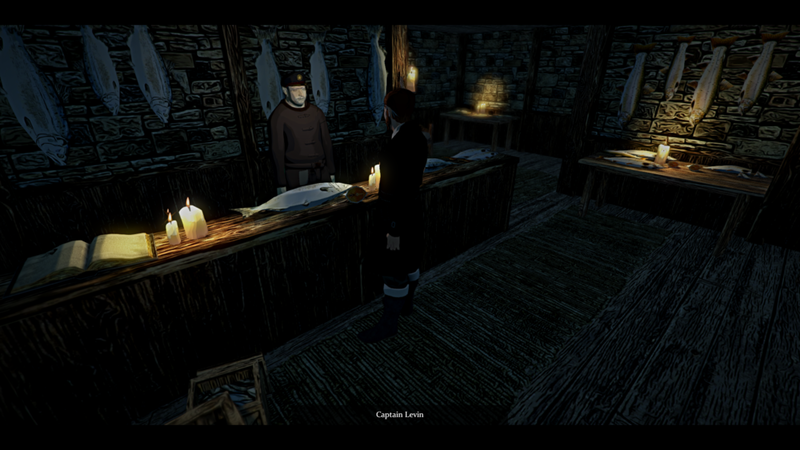 But we wanted our game to have sort of a graphic novel look to it. We decided the approach we'd like to take was to use flatter textures that could then be lit within Unity. This simplified the look of not only our characters, but also the props and geometry in our world (we might do another post based around our environment art in the future). It was also during this step that we could tweak the clothing or the skin of the model. It was in this way that we took some more modern looking characters and modified them to look more era-appropriate for our game. Then we just exported from Illustrator as a separate PNG file. Here, you can see the original textures as imported from FUSE (left), compared to the re-textured files (right). While the various sliders used in FUSE mapped over to the texture (details such as hair color, age spots, 5 o'clock shadow, etc. ), we could get far more unique features for our characters by just drawing them ourselves. Note the areas within the texture map that would be obscured by clothing - there was no need to add detail here, as it would never be seen. And speaking of clothing, while the nautical hat imported from FUSE (left) had beautiful patches and a corduroy texture, we wanted some iconography more befitting our world, so we opted for a different look (right). Once we felt ready to look at the progress of the texture on the model, we could take this Illustrator PNG and paste it onto the model within Photoshop to doublecheck how it would look in a 3D space, before having to go through the trouble of importing it into the game for every iteration. In the example above, the model on the right has been updated with the two texture maps outlined earlier, while the rest of the Shipmaster's clothing remains as-imported. Those pieces were updated later. Occasionally we would get a texture built, place it on the model and import everything into the game, only to realize it didn't look the way we wanted it to look once it was lit. As you can see, the preview in Photoshop is rendered at a very low resolution, and the lighting and shaders present in the game engine were not present within Photoshop. So then we'd go all the way back to Illustrator and tweak through the process until we were both satisfied with the result. Everyone complains about the smell of Levin's shack. What do you expect? IT'S COVERED IN FISH. So, clearly we have not been doing a bang-up job of keeping the blog updated. While there is no excuse, the reason for our absence is because we have been hammering on Arkhangel as hard as we can. Sound is implemented in the game, all dialogue and lore is complete, and music is currently being written by Chad Seiter (check out his blog at http://www.chadseiter.com/). As we are closing in on the end zone, we are eyeing next steps - recording, Steam submission, release, social media support, conventions, etc. We've made a conscious decision not to plan too far down the road, because we've become very well-versed in how real life can come in and scuttle your best-laid plans. But know that we're almost there, and we're really excited. Want to stay up to date on all things WNG? Please subscribe to our newsletter! Thank you for subscribing to the WNG Newsletter! Hopefully the hangovers have subsided, the resolutions haven't been broken yet, and you all remember where you work. Out here in Kansas, it's colder than a well digger's derriere, which is alright because it's a good environment to bundle up and hammer away at the checklist for Arkhangel: The House of the Seven Stars. As Zack stated in the holiday update, we have a bunch of goals for 2018 (I didn't even bother with a personal resolution, because I knew these professional goalposts were going to be all-consuming!). With artwork pretty much complete, and the overall structure of the game in place (I actually saw the ending in-game for the first time on December 21st, which is Winter Night, appropriately enough), my days are now all about playthroughs, bug reporting, lore writing, and dialogue polish. Zack's really hitting it hard. He took off the last couple of weeks of 2017 and worked on Arkhangel non-stop. The professional sound designer is finally adding sound design to the game! Yay! 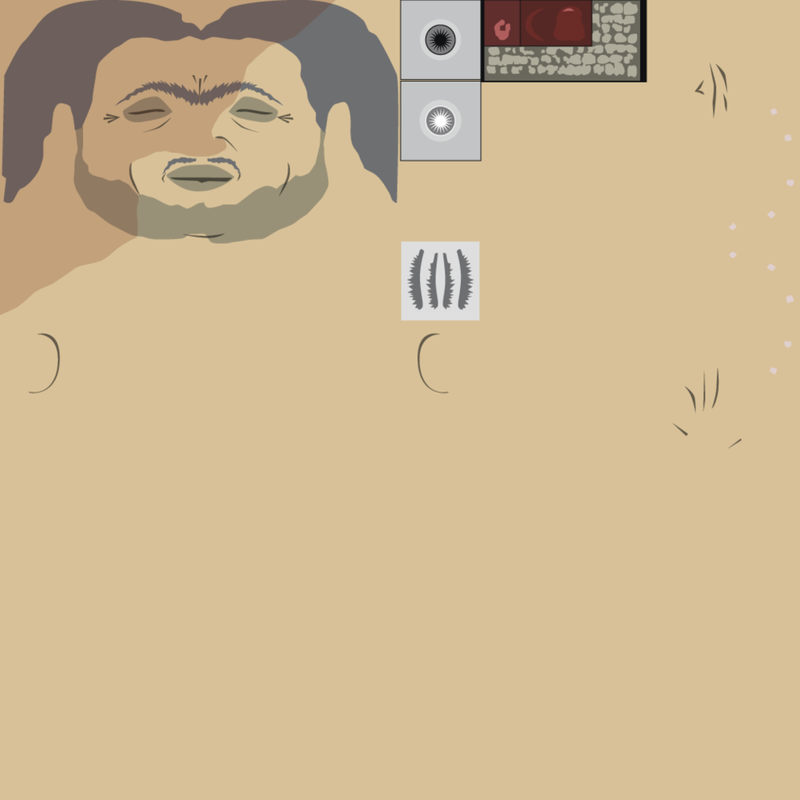 And, as before, the Great Nameless is essentially a finished, complete tabletop board game. We've had playable prototypes for almost two years, and we have been done with playtesting for quite awhile. Now we just demo it. Our decision was to hold off on the Kickstarter campaign until after Arkhangel: the House of the Seven Stars was released on the various distribution channels for Mac/PC. We didn't want too much competition between the two products on our social media channels. So if that's your jam, keep your eyes peeled and we'll start talking about it more and more after we get done with our point & click adventure!